When I began preparing for Brain Freeze Month I asked my 2 year old daughter what flavor ice cream she would like me to make. My Little Birdie never ceases to amuse me.Well, I wouldn’t want to disappoint, so here is the purple flavored ice cream. 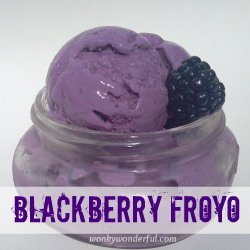 Blackberries for the purple color and frozen yogurt for a healthier treat.Blackberry FroYo For My Little Birdie! This recipe makes 1 pint of frozen yogurt. 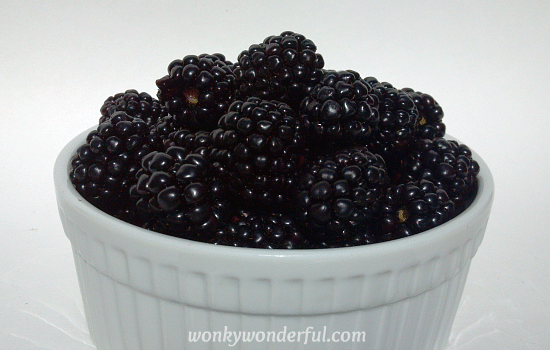 Strain the blackberries using a fine mesh strainer or cheesecloth. This should produce about a 1/2 cup of blackberry juice. Discard blackberry seeds and pulp (or if you have any interesting uses for blackberry pulp, let me know). Mix the blackberry juice, yogurt, milk, sugar and vanilla together until smooth.Now either pour the mixture into your ice cream maker or pour into a container and use the ‘Patience is a Virtue’ freezer method. If you decide to shake it, let me know how it works out because I have never tried that method with yogurt. 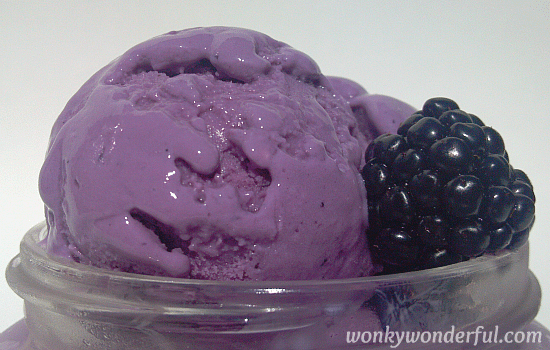 Click Here for complete instructions on the 3 methods for homemade ice cream/froyo. 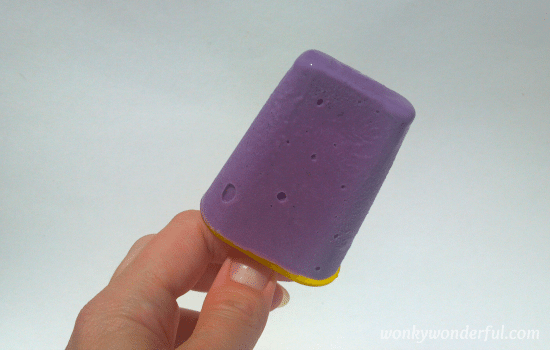 Or pour the mixture into popsicle molds and freeze overnight for a Fun FroYo Popsicle Treat for the Kiddos! My Little Birdie sure did enjoy her purple ice cream. 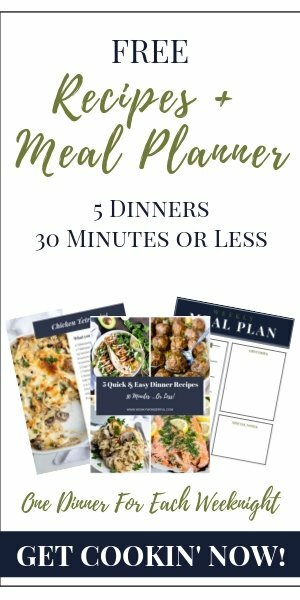 I hope you and your little ones love it too! If you have any questions or comments, feel free to contact me directly at wonkywonderful@gmail.com.